I live on the shores of a beautiful mountain lake in the Northern Sierras. 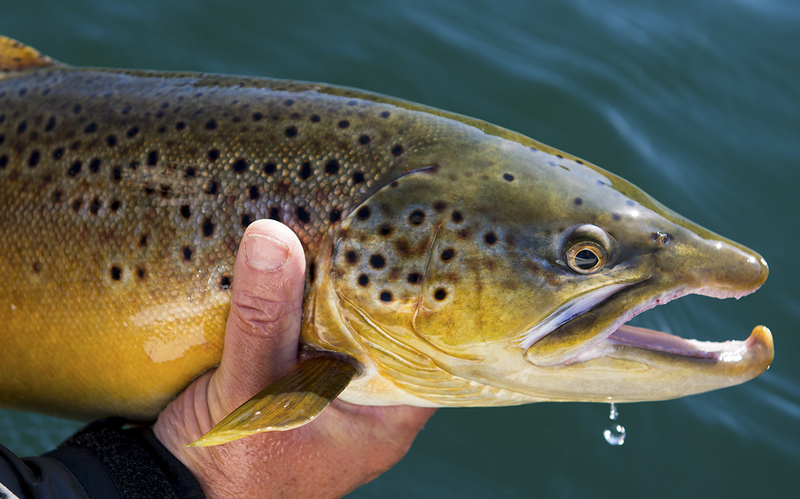 As an avid fly fisher, I spend a lot of time on the lake and love catching smallmouth bass, rainbow trout and, my favorite, in the fall at least, brown trout. Here are a few of dozens caught this past fall. I never get tired of seeing these fish as I bring them to hand and enjoy their amazing colors. As a fly fisher, my ethic is catch and release so I get equal enjoyment from watching them swim away strongly into the cool clear waters of their home.